Look at this chic Gold Sequin Short Dress with Criss Cross Back. 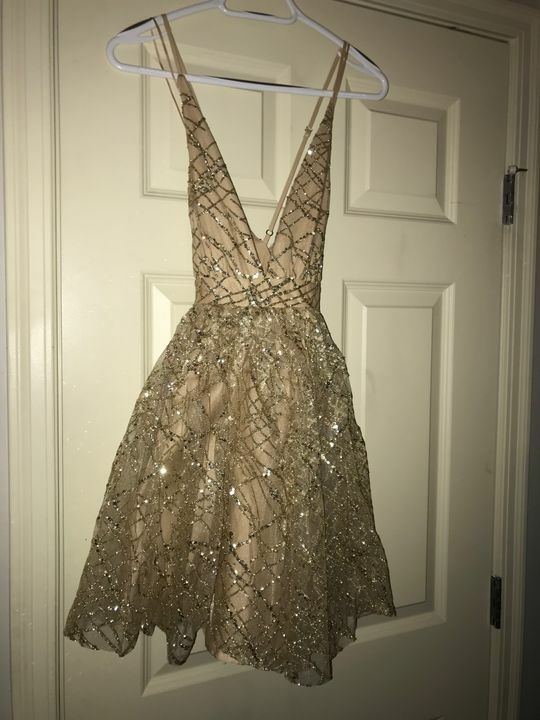 What a chic little dress with gold sequin and glitter detailing throughout! This is my second dress from this boutique and I love it! The quality and style never disappoints. Already purchased another dress from here since this dress. I would come back here every time for any kind of occasion. Material is slightly stiff but the dress fits perfectly and is just as gorgeous as pictured! This dress was more beautiful than the picture! It was well made and has a good fit. The only reason I gave it a 4 is it will leave a trail of glitter and sequins everywhere you go!